The third set of technical talks on the interim nuclear deal between Iran and the 5+1 Powers resume in Geneva on Monday. The talks are seeking to implement provisions of the November 24 deal, including Iran’s suspension of enrichment of 20% uranium and a start to relief of US-led sanctions on Iran. The last set of discussions were held December 19-22. They have been conducted in strict secrecy, but Iranian Foreign Minister Mohammad Javad Zarif and Tehran’s lead negotiator, Deputy Foreign Minister Abbas Araqchi, indicated that progress had been slow. Araqchi said the third round of negotiations will last only one day because of the New Year holidays. The 4th anniversary of the regime’s counter-rally to the protests of the disputed 2009 Presidential election has brought a flurry of responses maneuvring around the past and the current state of Iran’s dissent and political prisoners. The military have led the effort to invoke “sedition” in support of a continuing crackdown on dissent. Fars, the outlet of the Revolutionary Guards, features an interview in which the deputy head of Iran’s armed forces took aim at detained opposition leaders and 2009 Presidential candidates Mir Hossein Mousavi and Mehdi Karroubi. Jazayeri asked the Intelligence Ministry to be careful of “new seditions”, with the largest of these being a “cultural sedition” managed by the “Americans and Zionists” in “soft war” against the Islamic Republic. The Rouhani Government was more guarded in statements, praising the counter-rally of December 30, 2009 — a response to demonstrations on the religious occasion of Ashura three days earlier — but avoiding specific blame of any individuals or movements. The Tehran Prosecutor General has announced that proceedings have begun against MP Ali Motahari over his call for a review of the sentences against political prisoners after the disputed 2009 Presidential election. State news agency IRNA reports, from an “informed source”, that criminal proceedings against Motahari have been launched in the 4th branch of the Culture and Media Court. On Sunday, Motahari criticized the 33-month house arrests of opposition leaders Mir Hossein Mousavi and Mehdi Karroubi — both candidates in the 2009 Presidential election — and called for a review of the “severe sentences” against other political prisoners (see earlier entry). In 2009, many reformist figures were given heavy prison sentences after Mahmoud Ahmadinejad’s election victory was challenged with allegations of vote fraud. Despite the recent change in the administration, there has been little change in the situation of these prisoners. Fars News has confirmed the arrest of billionaire Babak Zanjani, who has been accused in a Parliamentary report of involvement in a massive embezzlement from the Social Security Fund. The report claimed that Zanjani is involved in 138 companies associated with the Fund, many of whom engaged in suspect practices to take money illegally. According to EA sources, the arrest took place some time ago but was not revealed while Parliament completed its report. Zanjani was a close ally of the Ahmadinejad Government. His arrest puts more pressure on former Presidential advisor Saeed Mortazavi, who headed the Fund and has also been criticized by MPs in recent days with a view to his prosecution. Iran Prosecutor General Gholam Hossein Mohseni Ejei has repeated that those convicted of taking part in the protests after the disputed 2009 Presidential election cannot be “forgiven”, and said the sentences they have received are the least they deserve. The regime detained thousands of politicians, activists, lawyers, journalists, students, and other people challenging the “victory” of Mahmoud Ahmadinejad, sentencing many of them to long prison sentences. Hundreds are still behind bars, and 2009 Presidential candidates Mir Hossein Mousavi and Mehdi Karroubi — along with Mousavi’s wife, activist Zahra Rahnavard — have been under strict house arrest since February 2011. Conservative MP Ali Motahari called in Parliament on Sunday for the judiciary to review the “severe sentences”, saying it should be free from all outside influences. On Monday, the regime marks the 4th anniversary of a rally to meet the challenge of the demonstrations. Three days earlier, thousands of protesters had marched across Tehran, backing down the security forces who had blocked previous gatherings. 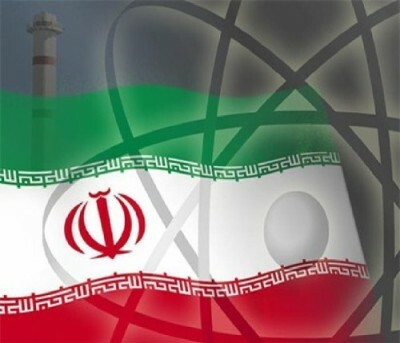 Almost 70% of Iran’s MPs have signed a bill requiring the Rouhani Government to enrich uranium to 60% if an interim nuclear deal with the US and other powers is not implemented, according to a member of Parliament’s Energy Commission. “The signatures to the bill to require the government to enrich uranium to the level of 60% increased to 200 [of 290 MPs],” Seyed Mehdi Moussavinejad said. The bill was initially supported by 100 MPs when presented on Wednesday. Moussavinejad said, in case of increased sanctions against Iran and violation of Iran’s rights to use peaceful nuclear technology, “the Government will be necessitated to launch the Arak heavy-water reactor and also increase the level of uranium enrichment to 60% to provide the fuel needs of [the] engines” of Iranian nuclear submarines. The measure is a response to moves by some US Senators, opposed by the Obama Administration, to mandate new American sanctions if the November 24 interim nuclear agreement is not fulfilled by Tehran. The “60%” level of enrichment is primarily symbolic: Iran uses 20% uranium for civilian programs and has no nuclear submarines requiring the further-enriched fuel.